How to Move Forward with Your Personalized Social Media Marketing? The world of social media keeps on evolving and therefore digital marketers need to keep an eye on the latest social media trends. 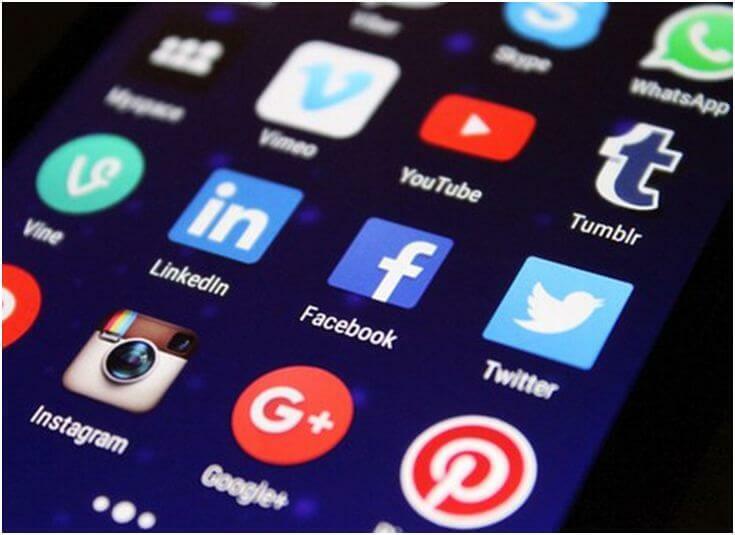 What you used for social media marketing 1 year back will become 50% less useful in the current scenario and therefore, morphing your marketing strategies with the evolving social media platform is the only way to move forward in the current world of digitization. One of the most trending social media strategies which marketers need to leverage in the current era is personalized marketing. The approach of reaching out your target audience with a personalized message instead of a generic message can prove to be a magic wand for your social media marketing strategies. According to a 2017 personalized development strategy, it has been found that 79% of the companies that witnessed enhancement in their revenue goal, used personalized strategy in their business plan. So, in this blog post, we will be looking at detailed explanation and uses of personalization in social media marketing. Personalized marketing is a type of marketing strategy in which the marketer uses personalized messages for the target audience in order to deliver more meaningful and relevant information. In layman’s language, the business using personalized marketing strategy garners the targeted audience information like demographics, age, interest in order to deliver more meaningful and relevant message or information. If you are thinking it from the targeted audience point of view, then you can consider “Recommended for you” as a personalized marketing technique which you usually get from YouTube, Netflix and other online platforms. The recommended content is based on your history,which allows the marketer to show you only those types of content which have more chances to get watched by you. What are the different ways of using personalized marketing for social media platforms? After defining your target audience in the right way, you can use various social media platforms in order to send direct messages. Like in the case of Facebook, the marketer has the option to use his customer and prospect list and then deliver a meaningful advertisement to these segments. Another great way to target audiences with a personalized marketing approach on social media is by using the new movers. It has been found that almost 16% of your customers will move each year and that’s why by taking into account such a big portion of your customer base, you should start focusing on new movers. Another big reason to target your new movers is they spend more in the first 6 months after moving than most consumers do in their first 3 years. You can use a data appending service which deliversup to date contact list for delivering content to new movers, regardless of their location. If you want your personalized social media strategy to work like a magic, then you need to categorize the different content on the basis of their performance on different social media sites. The right way to move forward with this approach is an audience analysis of various channels because it will help you to know which platform fits perfectly into the type of campaign which you are trying to run. For example, if you are a fashion designing company and looking forward to start a picture based campaign, then platforms like Pinterest and Instagram will be best for you. And if your campaign is targeted towards women then preferring Pinterest over Instagram will be a better option since Pinterest has a larger base of women. You should have the ability to use different social media platforms, according to their strengths. For example, while using Twitter, you should be focused on posting links and pictures because Twitter users like short bursts of information. There is no doubt that social media platforms have done wonders for business in terms of their marketing strategy, but it has also been seen that after integrating the social media campaigns with other mediums like email marketing and direct mails, the performance of the campaign has increased by a mile. There is a huge majority of business owners who believe that by integrating social media campaigns with their traditional marketing mediums, they have been able to get better results with their personalized marketing approach. Another great way of moving forward with your personalized social media marketing efforts is to track the performance of your marketing efforts in real time. Most of the social media platforms like Facebook, Instagram and Twitter have tools which can be used for viewing page insights and the performance of your ad campaign. Marketers must look for engagement metrics the comment, likes, etc. in order to get an idea of how the targeted audience is engaging with your ad campaign. You can further adjust your ad campaign for getting better results by keeping the way of engagement in mind. For example, you can use Facebooks for targeting audience on the basis of their geographical location so that your ad reaches your target market only. The personalization in social media marketing is not dependent upon your budget or how good your content is, it all depends on the way you communicate with your target audience. Nowadays, people on social media want to see messages, ads and all other forms of content with their own likes, interest, habits, and needs. You can easily capitalize on such needs of the user by using a robust and precise personalization in social media marketing and there is no doubt that such efforts can do wonders for your business. So make some changes in your social media marketing and make personalization an integral part of your marketing efforts as it is the most trending thing on social media and by adopting this trend in its early phase, you will be able to gain a competitive advantage over other players in your industry.